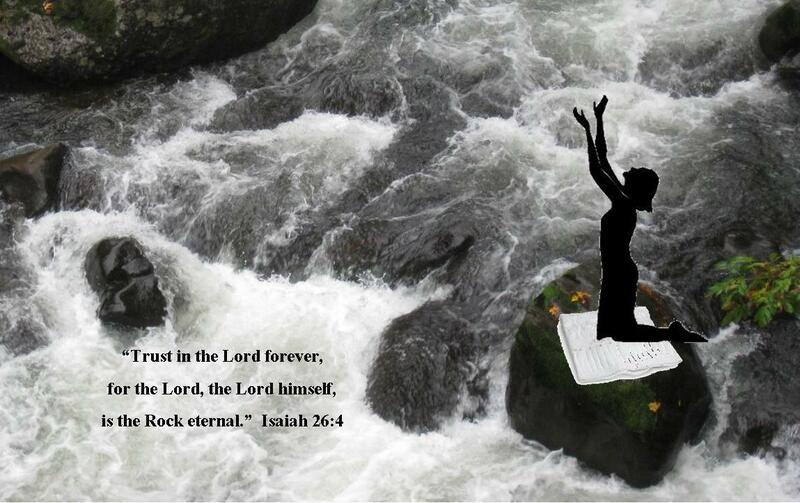 When life has knocked you off your feet and your future seems shaky, rest on Christ, the solid Rock. Shift your gaze from the turmoil that engulfs you to God who will comfort you. Turbulence engulfs us. Thoughts torment. Is it possible to deliberately shift our focus from our fears to God? Sometimes we’re feeling so low that our head is too heavy to lift. A simple upward glance to a heavenly Father is all it takes. Then our monumental problems will fade in comparison with His great power and love. We have an example in the book of Psalms of someone who did just that. Click on the link below for a list of verses from the book of Psalms.